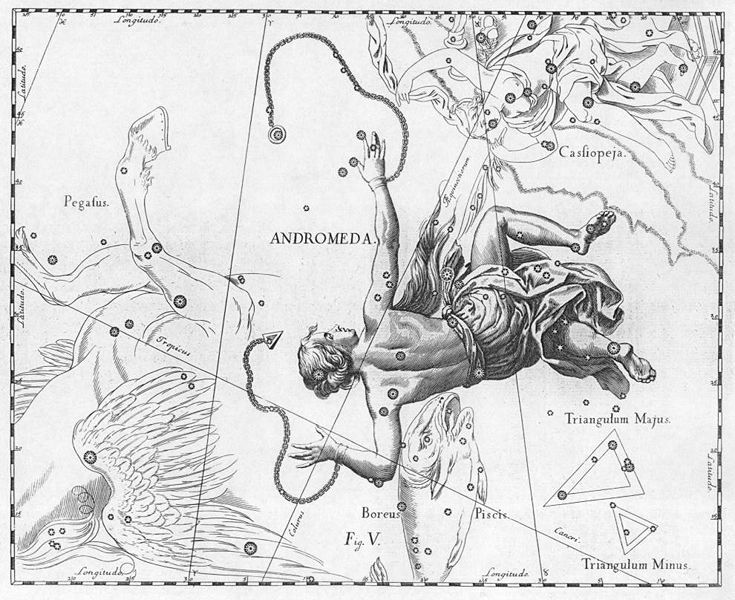 The constellation Andromeda is named for the Aethiopian princess of the same name. Andromeda was a daughter of Cepheus and Cassiopeia, who was chained to a rock as a sacrifice to the monster Cetus, before being rescued by Perseus, before Andromeda became the wife of the Greek hero. 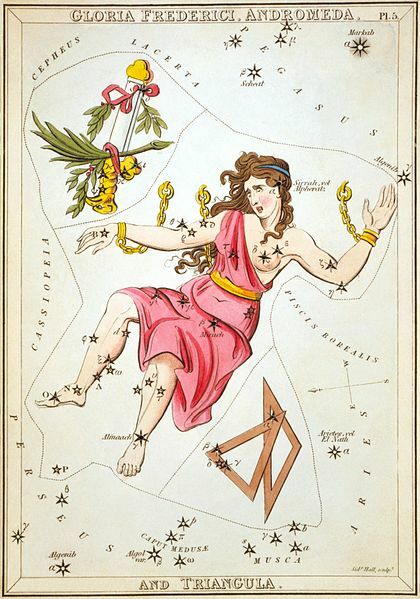 The mythology of Andromeda also sees the constellation referred to as the Chained Maiden, Cepheis, meaning daughter of Cepheus, and Persea, meaning the wife of Perseus. 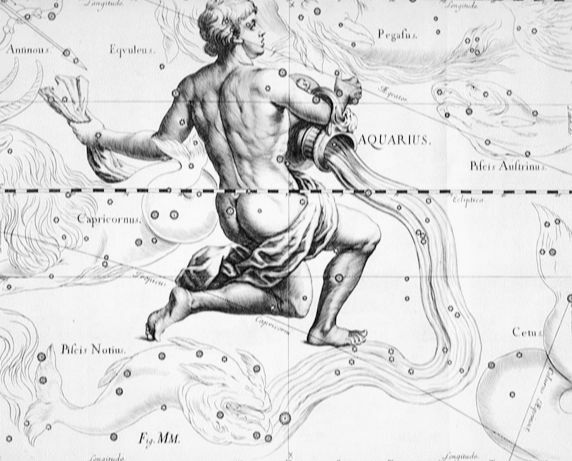 Neighbouring constellations to Andromeda include Cassiopeia, Cepheus, Cetus and Perseus, all related to the myth of Andromeda. Further details of the Andromeda myth can be found on this page. 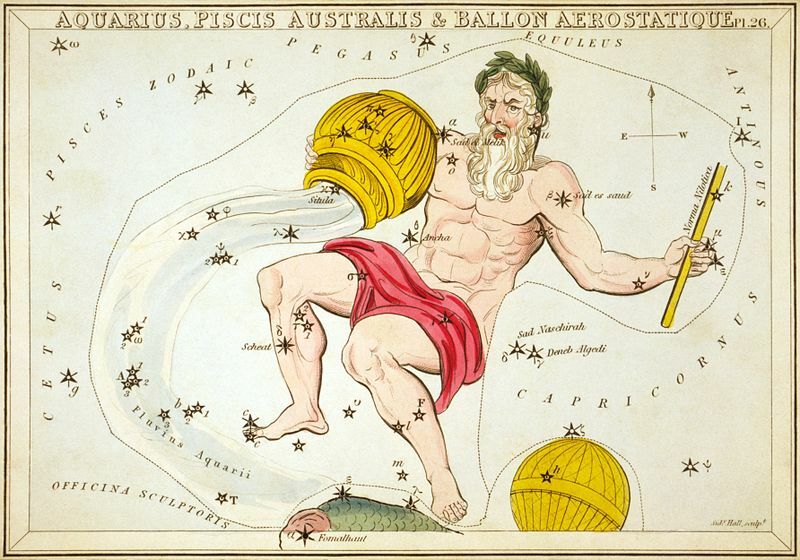 Aquarius is one of the most famous of the ancient constellations as it is also a sign of the Zodiac, although there are several different Greek myths used to explain its existence. The most famous Greek myth associated with the constellation Aquarius is the tale of Ganymede, the Trojan prince abducted by the eagle of Zeus, to become the god’s lover, and also the cupbearer of the gods. 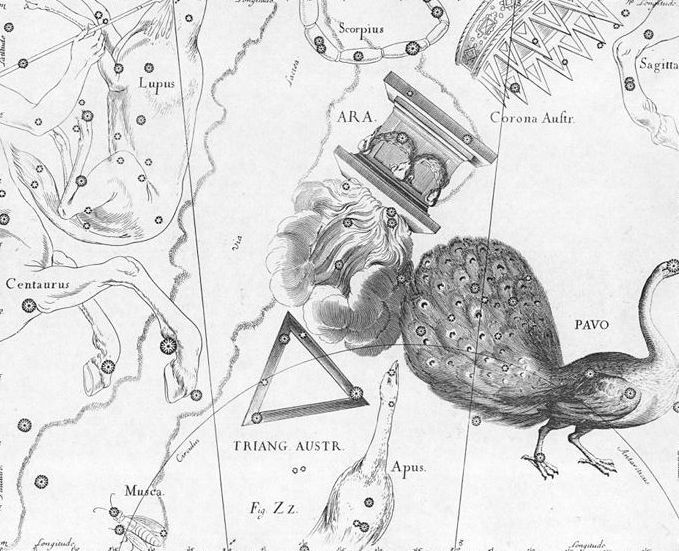 The nearby Aquilla constellation representing the abducting eagle. The story of Ganymede can be found on this page. Alternatively Aquarius might represent Deucalion, the son of Prometheus, who survived the Deluge; Cecrops I, the king of Athens when wine was discovered, and the man who ensured wine was sacrificed to the gods rather than water; or Aquarius might be the Potamoi Nileus from whom the great waters of the Nile emerged. 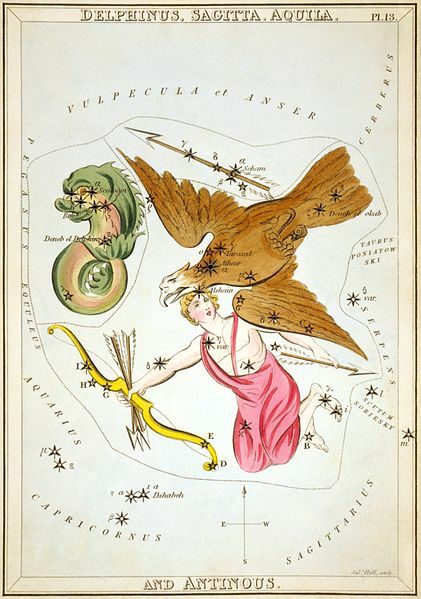 The name of the constellation Aquila means eagle, and it is most common to suggest that this is the representation of the eagle of Zeus, the bird who abducted Ganymede and also carried the weapons of the god; hence it’s near location to Aquarius. There were other eagles in Greek mythology though, for an eagle would pluck out the liver of Prometheus as part of his daily torture; Aphrodite was said to have taken the shape of an eagle to act the part of chaser of the swan that was Zeus during the seduction of Nemesis or Leda; and the King of Cos, Meropes, was transformed into an eagle by Hera, as the king was about to commit suicide. ​All these eagles have been suggested as the origin of the constellation Aquila. 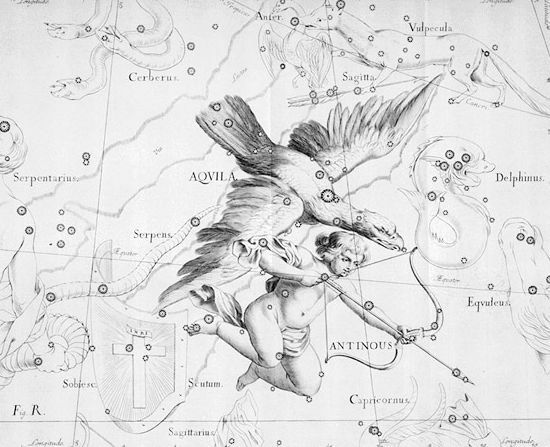 The constellation Ara is normally associated with the altar first used by the Olympian gods as offerings were made and alliance formed before the Titanomachy. Alternatively Ara, as the altar, was the representation of the altar of King Lycaon on which he sacrificed his own son, before serving the corpse up as part of the banquet for assembled gods.